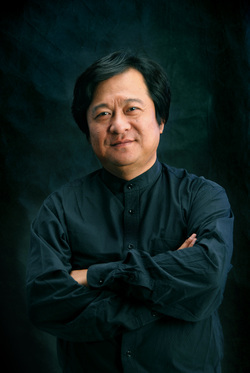 Professor of Violin at the Central Conservatory of Music (CCOM) since 1999, member of the China Musician's Association, Deputy Secretary-General of the Chinese Violin Society of Chinese Musician's Association, and director of the China Chamber Music Society, Wang Hong graduated with honors from CCOM in 1998, where he studied under violin educator Professor Wang Zhenshan. He was the principal second violin of the China Broadcasting Symphony Orchestra for 11 years, performing in many countries such as Germany, Austria, Spain, and Hong Hong. He has also played as Principal Second in the China Philharmonic Orchestra. Mr. Wang was second violinist of the acclaimed CCOM Faculty String Quartet, which performed many concerts in Beijing including The Third Beijing International Modern Musical Festival in October 2000. In March 2001, Mr. Wang was invited to perform at the Memphis Modern Music Festival in the United States. He has participated in masterclasses featuring master violinist Isaac Stern, cello guru Mstislav Rostropovich, the Hungary Kodaly String Quartet, and other famous musicians. After transferring to the Academy of Music, he has studied under China's famous violin educator, Professor Yaoji Lin. He has been repeatedly invited to teach public masterclasses at the National University of Singapore, Yong Siew Toh Conservatory of Music, the Hong Kong Academy for Performing Arts, and other domestic and foreign institutions. Mr. Wang’s students include Dou Congchang, the winner of the children’s division of the 4th Violin Competition of CCOM in 2001. He also taught Wang Zhou and Zhang Ying, Golden Prize winners of the children’s and young violinists competition of the First Vocal Sound and Musical Instrument Competition of China in 2004. In May 2009, his student Zhang Siyu won second place in the Junior Division of Italy's sixteenth "Andrea Postacchini" International Violin Competition. In January 2011, his student Zhang Li Jun won first prize in the Junior Doubles Division of Iraq's 2011 CCTV Piano Violin Competition. At the same time, his student He Li won the Copper Award in the Male Adult Division. Mr. Wang has repeatedly been invited to serve as judge in the Hong Kong International Violin Competition, and has earned several awards in his service, including several Mentor Awards of Excellence.